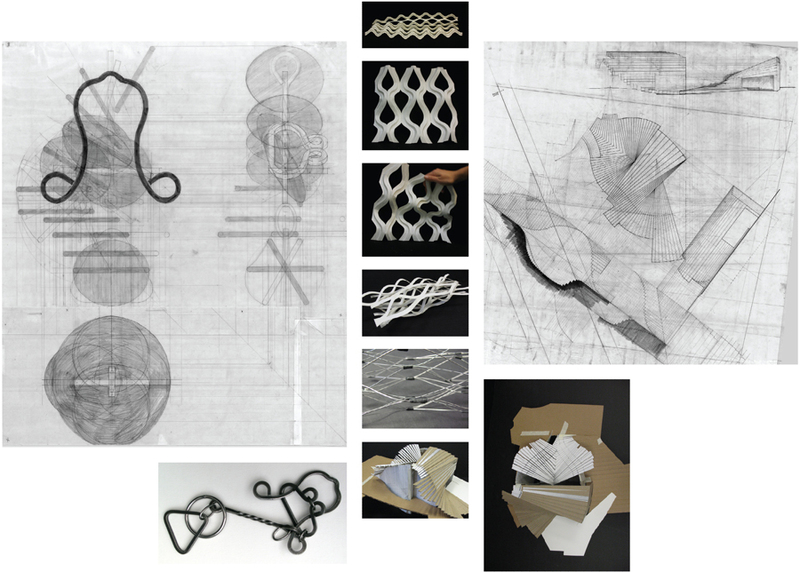 (left) This early assignment was aimed at challenging skills in representation and spacial cognition. The measured drawing depicts the solving of the puzzle pictured below. (right)The models show the system developed out of a study in sheet material geometry, which informed the conceptual traveler’s center shown in the drawing below.